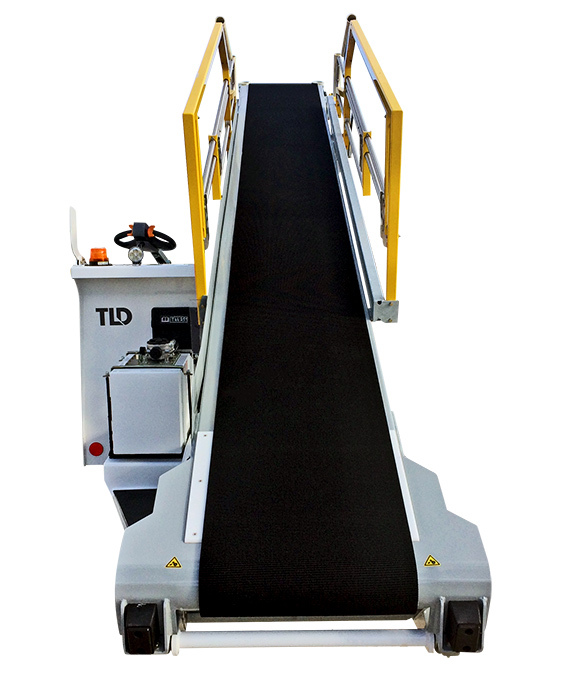 The RBL is a belt loader specifically adapted to regional aircraft and congested areas. Thanks to its upright driving position with a tiller head, the RBL allows for high maneuverability and productivity compared to a towable version. Designed for reliability and low maintenance costs, the RBL uses the latest technology and features. 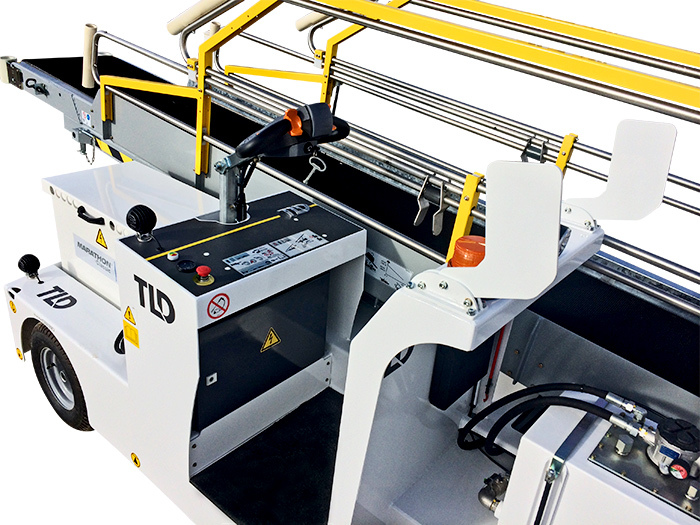 Location and accessibility of all components have been designed to reduce maintenance time to a minimum. 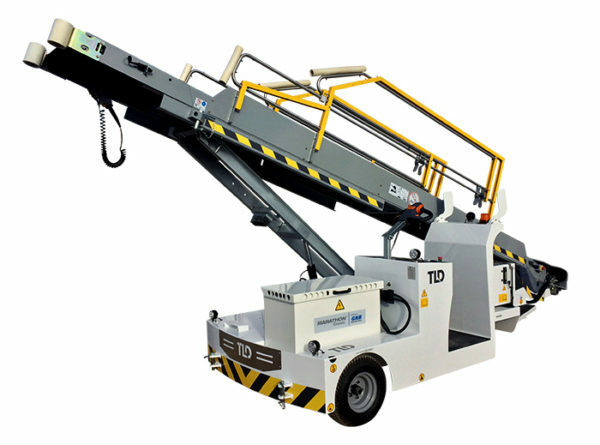 The 20 foot (6 meter) boom design allows the RBL boom to reach the lowest level in the market, and can serve all the doors up to 9 feet (2.7 meters) including A320 series and B737. 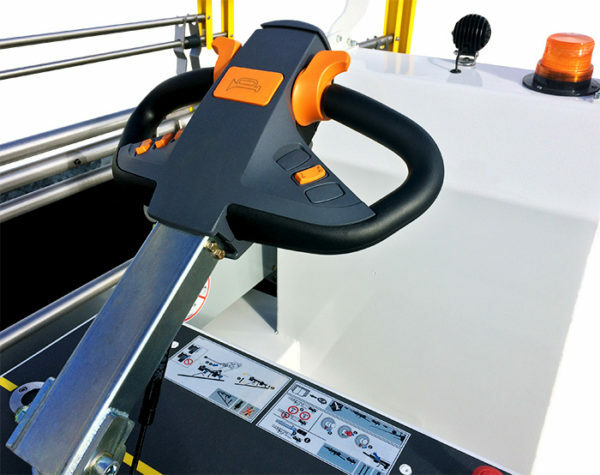 The RBL has been ergonomically designed to provide simple controls and excellent visibility. 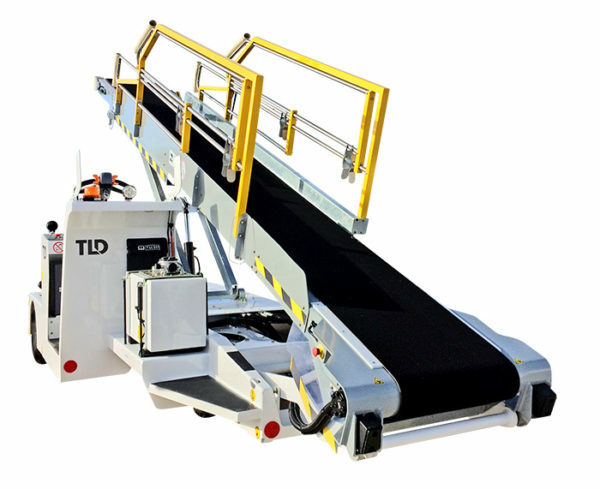 Safer and faster than a towable unit, the acquisition cost is lower than a conventional belt loader for regional airport or similar environment. 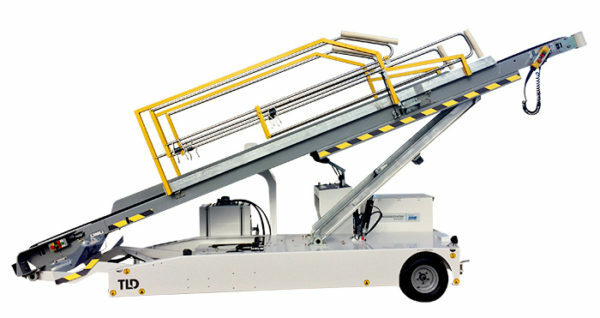 The ASD system prevents the beltloader from approaching the aircraft too fast, thus avoiding a potential contact resulting in damage to the fuselage. 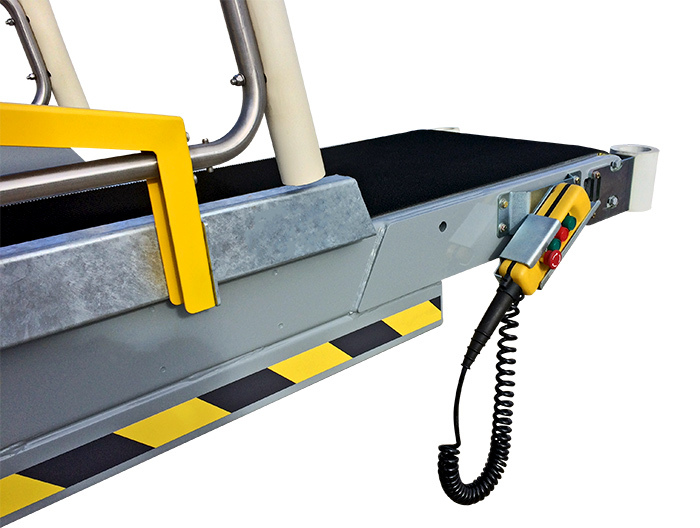 In the ramp area, the GSE can be driven without any speed limitation and without specific supervision. As the driver approaches the aircraft, he enters the safety area. The operator reduces his speed and presses the ASD button to activate the system. Immediately, a dedicated flashing beacon alerts the management and the other operators on the ramp that the equipment is now in safe mode. In this area, the GSE speed is limited to 5km/h, and the proximity sensor, associated to a sensitive bumper, is activated. The sensor is a 3D camera able to detect any obstacle in front of the GSE up to 7 meters (fuselage, engines, other GSE, other operators…). A buzzer warns the driver if he gets too close to the speed limit and in case of slow or no reaction from him, the system will automatically stop the equipment. In the final phase of the docking, or approaching closer than few meters from an obstacle (mainly the fuselage), the ASD system automatically limits the speed of the vehicle to 0.7 km/h. At that speed, even in case of contact, the GSE’s kinetic energy can hardly cause any significant damage to the aircraft. In case an impact with the aircraft occurs (or in case the operator does not activate the ASD system for instance) the impact strength will be measured and the GSE will be stopped until the responsible manager un-locks the vehicle after fuselage inspection. This procedure is comparable to the one existing on towbarless tractors in case of reported overtorque events. 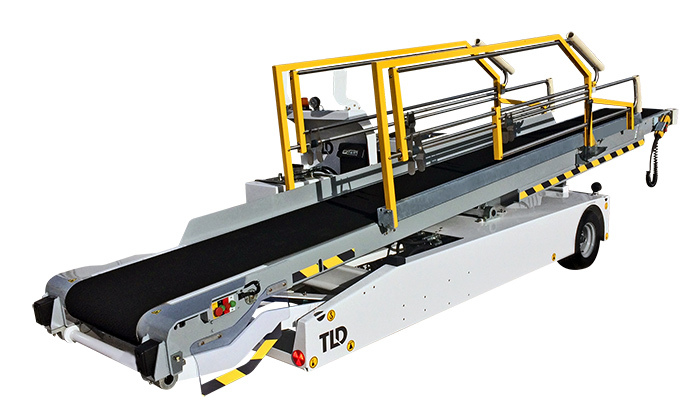 Boom: The boom is 6000 mm long and has a width of 700 mm; the belt is 600 mm wide and can accept a load of 810 kg evenly distributed when horizontal, 455 kg at its maximal angle, and 250 kg maximum for a single load (area 600 mm x 800 mm). Belt speed is fixed at 18 m/min but can be variable in option. 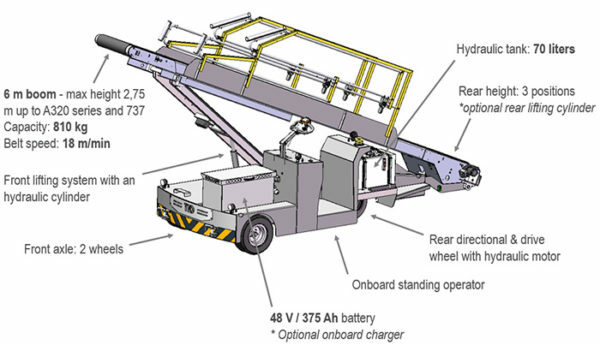 Boom and belt controls: Belt rotation and elevation of the boom are electrically controlled (piloted) through solenoid-valves. 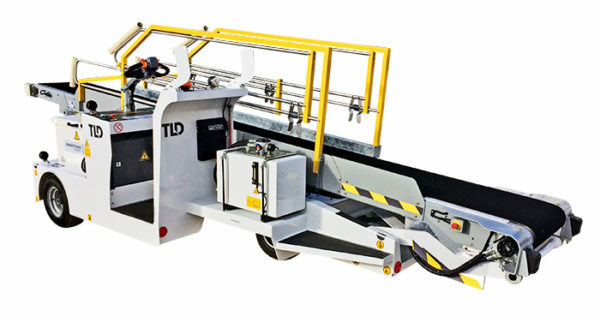 Belt rotation is assured by a direct-drive hydraulic motor (chainless); one (single effect) front cylinder is acting on steel frame to control the height of the boom. Rear height could be manually adjusted at 3 positions. Hydraulic tank: The capacity of the hydraulic tank is 65 liters and a return filter is incorporated to the filler cap.